As summer, thankfully, grows closer everyday, it’s time to start planning some epic campouts! Despite a long and cold winter for much of the country, summer is finally within sight. And with the warm weather comes the height of camping season. For both beginner and seasoned campers, new technology is always making access to the great outdoors easier. Apps for smartphones cover everything from packing lists, first aid, maps, and of course, campsites. These six apps are the best of the best for discovering new campsites, learning more about your favorite areas, and even booking specific sites. Check out these six impressive campsite apps then get outdoors! 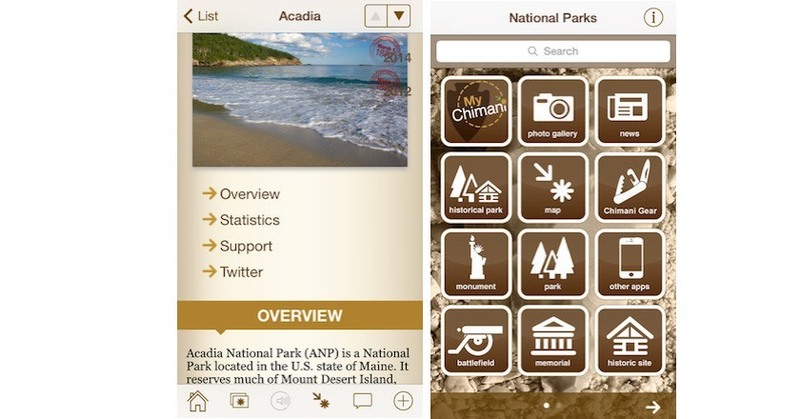 This award-winning app is a must download for anyone traveling to one of the 59 National Parks. Chimani contains everything you want to know on over 400 National Park Service units. Users can even create a passport and get it “stamped” for each park visit! Another neat feature is a National Parks Service news feed so you can stay updated daily on whats happening in the parks. Learn more about the history of your favorite park, find a new campsite, or visit a totally new park with Chimani.